The inexpensive Music One from Poland-based Custom Art impressed me last year with strong audio performance in an even stronger form factor. In fact, the deep-sealing, low-profile silicone shells of the Music One are almost perfect as far as custom in-ear monitors go. With detachable cables added later as an optional extra, the design became even more compelling. The two higher-end models I have in front of me today maintain the versatility of the Music One while attempting to bring the next level of performance. Both the Pro 330v2 and Harmony 8 Pro utilize full silicone shells and have all of the usual trappings of silicone CIEMs – fantastic noise isolation, great long-term comfort (provided the earphones fit properly to begin with, of course), and a complete lack of cable noise and other annoyances. Both come with a cleaning tool, Pelican 1010 crush-resistant case, and a more portable zippered clamshell case. My Music One has excellent shell quality, on-par with the $1000 Noble 4S, and the new models don’t disappoint on that front either. Considering they are silicone CIEMs, there are also a good number of shell customization options and, as with the Music One, themed whole-earphone designs dubbed “State of Art” are available. One non-cosmetic option that is of special interest is detachable cables, which are priced at $45-90 (150-300PLN / €35-75) depending on model. Once a rarity among silicone CIEMs, these utilize conventional 2-pin sockets and feel extremely robust thanks to an anchoring plate that keeps the socket firmly in place. The black Custom Art cable is among my all-time favorites – even better than the clear one I liked so much on the Music One. Its glossy twist is extremely flexible and has no memory. The memory wire, on the other hand, has just the right amount and is soft to the touch. There is also a cable cinch that doesn’t look like an afterthought and the 3.5mm plug is slim enough for smartphone cases – a pet peeve of mine with many other custom cables. With the detachable cable connectors and additional drivers, my Pro 330 and Harmony 8 Pro both are sized more like a conventional CIEM rather than the ultra low-profile Music One, losing some of the uniqueness of that form factor. However, this also makes the shells easier to grip when inserting or removing the earphones – a definite plus. One more thing to be said for user-friendliness – the silicone canals of both earphones maintain seal well with changes to ear shape, such as while chewing or talking. Below are my audio quality impressions of the Pro 330v2 and Harmony 8 Pro. The prices listed are in PLN and Euros, with USD conversions. However, customers outside of Europe can purchase the earphones without paying VAT, which should result in substantial savings. You’ll have to contact Custom Art to get the discounted non-EU pricing. The Pro 330v2 is a 2-way, triple-armature monitor designed first and foremost for professional musicians, for use both on the stage and in the studio. The sound is smooth and clean, impressing with its balance and refinement. Tonally it is a little brighter and more a neutral than, for example, the HiFiMan RE-400, but still not at all bright or harsh. At the same time, it is smoother and slightly more warm than the Etymotic Research ER4 and VSonic VC1000 – two earphones that are commonly called “analytical”. In other words, the Pro 330v2 should be just the right amount of “neutral” for many listeners. The bass of the Pro 330 has good depth but a is a little less immediate and crisp in its punch than some of the similarly balanced-sounding universals (like, for instance, the StageDiver SD-2 and Audiofly AF180). I’ve noticed this with a couple of the silicone-shelled customs I’ve reviewed – it’s seems that silicone has an effect of making bass punch softer. The midrange is not forward but maintains good clarity. If it was brighter – like the higher-end Harmony 8 Pro, for instance – it would sound clearer and more crisp, but as is the Pro 330v2 maintains good midrange quality without sounding thin or unnatural. The top end is my favorite part of the Pro 330’s sound, maintaining smoothness extremely well without sacrificing presence. Being as neutral as it is, the Pro 330v2 is surprisingly forgiving. The top end is extremely refined and maintains good air. This works well with the slightly laid-back overall feel of the earphone, creating a pretty “big” sound. Here the Pro 330v2 really makes universals such as the RE-400 and StageDiver SD-2 seem congested and intimate. The single-BA Music One is a very capable earphone for the price, but compared to higher-end sets it could use a little more refinement, especially in the bass and treble. The Pro 330v2 provides that refinement – it is more balanced and more resolving, with tighter bass and better clarity. The clarity gap isn’t as enormous as it is between the Music One and the higher-end (and brighter-sounding) Harmony 8 Pro, but the Pro 330 still has an advantage here. The Music One is on the whole a bit more tilted towards the bottom end, sounding warmer and more laid back through the upper half of the spectrum. The Pro 330v2 offers up more energy through the upper midrange and treble, which sounds more natural to me. What’s especially impressive is that it does so while maintaining a very smooth sound. All things considered, the Music One is still a very capable earphone for the price, but the Pro 330v2 is more accurate and refined by a sizable margin. The Mi-Performer Pro from UK-based Minerva is a silicone-shelled monitor priced similarly to the Custom Art Pro 330v2. It also utilizes a 2-way configuration, albeit with two drivers instead of three, and actually sounds better than its pricier sister model, the Mi-Artist Pro. I found the performance of the Pro 330v2 and Mi-Performer Pro to be similar, but with a sizable difference in tuning. The Custom Art unit is overall more balanced and enjoys wider bandwidth, with deeper bass and smoother but equally extended treble. The Minerva unit has a more mid-focused signature, boasting stronger upper mids as well as brighter treble. With more forward mids and brighter tone, the Mi-Performer Pro sounds clearer but lacks a bit of the smoothness that makes the Pro 330v2 special. Both the Custom Art and Minerva sound spacious and out-of-the-head, especially next to lower-end models, but the Pro 330 is a little more laid-back thanks to its less assertive midrange. The triple-driver V3 model from US-based 1964EARS offers performance on a level similar to the Pro 330v2, but again with a very different sound signature. The V3 is more v-shaped, with enhanced bass and brighter treble. The treble emphasis makes it sound a bit clearer, but also less forgiving. Occasionally, the V3 appears harsher and less natural at the top end, echoing some of the negative traits commonly associated with balanced armature treble. The Pro 330v2, on the other hand, is smooth, poised, and balanced. However, it sounds a little muffled next to the bright and clear 1964EARS, and also doesn’t have an advantage in bass control despite the lower bass quantity. The presentation of the Pro 330v2 is more relaxed and laid-back, whereas the 1964-V3 is more forward, engaging, and exciting. The 1964-V3 is also notable for having very high sensitivity – much more so than any of the Custom Art sets. 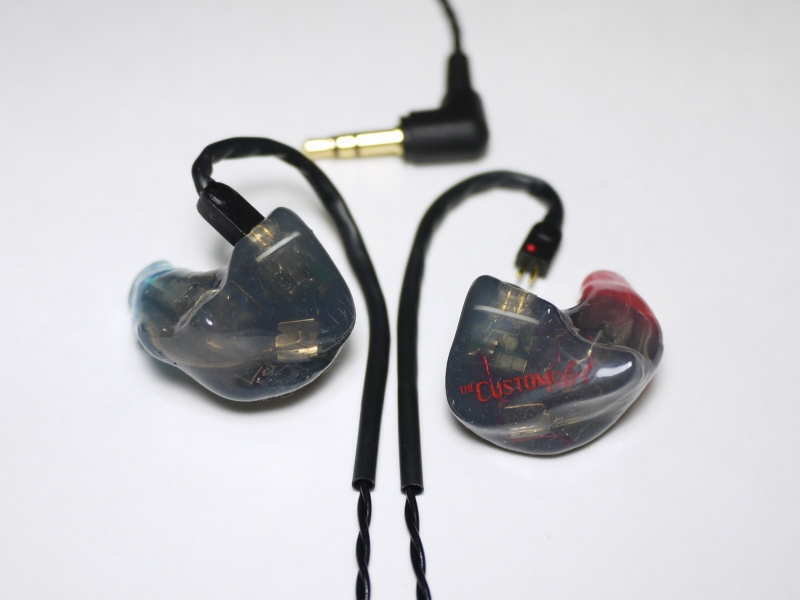 The Harmony 8 Pro is one of two available tunings of Custom Art’s flagship in-ear monitors, boasting more presence in the mid/upper treble region than the regular Harmony 8. Its strengths are clarity and balance with a nice and impactful – but not at all overwhelming – bass component. The bass is subtle enough that it makes the Dunu DN-2000, one of the better universals I’ve tried this year, seem overly bassy, boomy, and just somewhat sloppy overall. With no bass bleed to get in the way, the midrange is very clear despite not being particularly prominent. For instance, it makes the TDK BA200 – a high-end universal IEM with good midrange quality – seem muddy and severely lacking in crispness, with vocals that are less distinct and intelligible compared to the Harmony 8 Pro. Same goes for the even more capable Audiofly AF180 – it just isn’t as clear and refined as the H8P. Impressively, the Harmony 8 Pro achieves the clarity without sounding overly lean – its mids are still a little more full-bodied than those of the similarly-tuned Unique Melody Miracle, for example. I found the overall balance of the H8P to be a bit v-shaped thanks to the prominent treble – again not unlike the UM Miracle. The treble is not harsh by itself, but it’s also not very forgiving, The Miracle, which has similarly plentiful treble energy, sounds just a touch smoother and is more tolerant of sibilance. The presentation is wide and a little laid-back as tends to be the case with other earphones with this type of balance, such as the UM Miracle, 1964EARS V6-Stage, and – on the budget end of things – the VSonic GR07. Thanks to the strong and extended top end, the Harmony 8 Pro sounds airy and open overall. The sense of space is excellent, competing with some of the most capable customs at my disposal and easily beating the Dunu DN-2000, TDK BA200, Audiofly AF180, and other top-tier universals I threw at it. From early on, I thought that the Custom Art Harmony 8 Pro sounded more analytical than any of the other silicone-shelled custom monitors I’ve tried. To see how much of an upgrade it is over a top-tier universal earphone, I compared it to the dual-armature VSonic VC1000. The H8P makes for a solid upgrade to the VC1000 with more natural and full-bodied bass, less brightness, and a broader presentation. Clarity – something that’s impossible to fault in the VC1000 – is about on-par between the two but the Harmony 8 Pro is less bright, more neutral, and more natural. The VC1000 is not only brighter but also more thin-sounding and less natural, primarily through the upper midrange and treble where it sounds a bit tizzy. Neither earphone is relaxed up top but the H8P is slightly – and I do mean slightly – more forgiving. The presentation of the VC1000 is more forward and aggressive while the Harmony 8 Pro is more laid-back and spacious, with better imaging. One the whole, I was rather impressed by the VC1000 keeping up in the clarity department and edging the H8P out slightly in bass control, but otherwise there’s not much that the Custom Art unit doesn’t do better. The combined gap in performance and sound tuning between Custom Art’s flagship Harmony 8 Pro and entry-level Music One models is a large one. Because the Music One follows a warmer signature than the VSonic VC1000, the strengths of the H8P are even more striking when comparing these two earphones. The Harmony 8 Pro is clearer, tighter, and more resolving, and the sound it produces is more layered, nuanced, and refined. The bass of the Music One sounds somewhat flabby next to the tight and clean H8P and its midrange is muddier. The Harmony 8 Pro is more balanced overall and also more refined. One of the few things the Music One has going for it here is the smooth and forgiving nature of its treble, especially when it comes to sibilance. However, its presentation is more intimate, lacking the air and sheer expanse of the H8P’s soundstage. Both the tuning and performance of the Custom Art Pro 330v2 act to bridge the sizable gap between Music One and Harmony 8 Pro models. That said, I still thought its sound signature was more akin to that of Music One and it had similar shortcomings when put up against the higher-end Harmony 8 Pro. It is warmer in tone and very smooth compared to the brighter, more v-shaped H8P, but just not as clear and refined. The low end seems to be more prominent on the Pro 330, though this is partly due to it following a less treble-heavy sound signature and doesn’t apply to the deep bass, which the Harmony 8 does very well. The midrange is neither as clear nor as crisp and detailed as that of the H8P. What the Pro 330v2 does have is treble that is very smooth and much more forgiving, but the extra treble energy and clarity of the H8P together make the Pro 330 sound muffled and a bit dull in comparison. The presentation of the Pro 330v2 is more forward whereas the Harmony 8 Pro has both a more spacious soundstage and better imaging. Unlike the similarly-priced Custom Art Pro 330v2, 1964EARS’ V6-Stage makes for an excellent sound signature match to the Harmony 8 Pro. Both earphones are balanced-sounding with a slight v-shaped character. Bass is very similar between the two, with excellent depth and punch. Bass quality is quite close but I thought the balance between tightness and body was a little more natural on the Custom Art unit, with a bit more fullness showcased through the bass as well as the midrange. The leaner V6-Stage has a slight advantage in clarity, however, and sounds a bit more crisp. At the top, the V6-Stage is slightly brighter and a little more prone to sibilance. The treble of the Harmony 8 Pro is also bright and not very forgiving, but overall it is smoother and more natural than that of the 1964EARS unit. The Harmony 8 Pro also has a slightly more three-dimensional presentation, though again the difference is very small. When it comes to the bass, midrange, and soundstaging, the H8P and 1964 V6-Stage are nearly neck and neck in my book, but ultimately the slightly smoother and more refined treble of the Harmony 8 Pro wins it for me. The Noble 4S made for a natural comparison against the Harmony 8 Pro, being the only other ~$1000 silicone-shelled monitor with a near-neutral sound I have. I found the approach to neutrality of these two different earphones to be a very interesting contrast, with the H8P bringing a brighter, more energetic sound and the Noble taking a more smooth and mellow approach. The bass of the Harmony 8 Pro tends to be more punchy and immediate while its mids are less forward and marginally clearer. The midrange and treble are actually where the two earphones differ most – the 4S has a strong midrange presence, slightly warmer tone, and a softer, more gentle note presentation all around. The H8P is cooler and more “analytical” overall. Its greater treble presence makes the sound more crisp, but also a little less forgiving whereas the 4S is extremely smooth, refined, and not at all prone to sibilance or harshness. 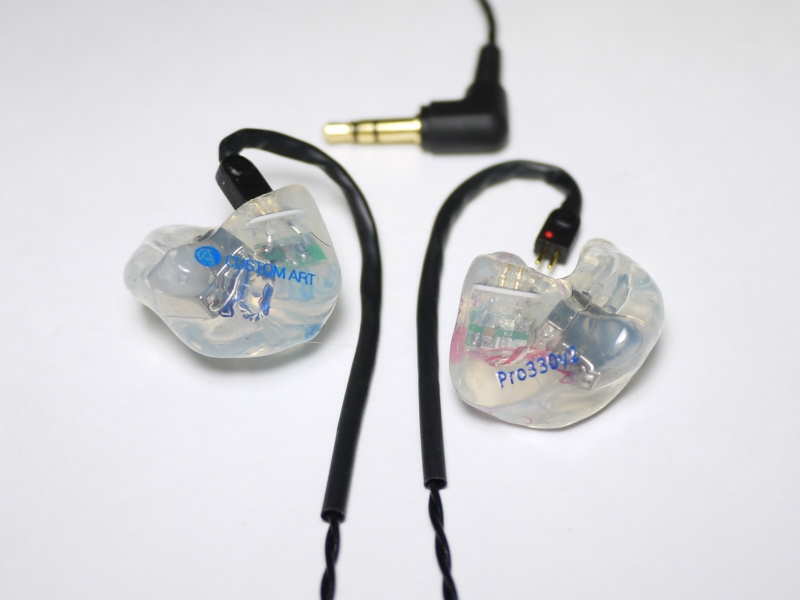 In terms of soundstage, the Harmony 8 Pro is a little more spacious and out-of-the-head whereas the 4S, with its warmer and more forward mids, has a more conventional but still very well-rounded IEM presentation. On the whole, I found the 4S more natural tonally but the H8P came out ahead in bass, clarity, and perhaps even soundstaging – an excellent example of two different approaches to high fidelity. In contrast to the smooth and mellow Noble 4S, the JH13 Pro Freqphase has a crisp and somewhat aggressive sound that squares off well with the Harmony 8 Pro. This time the two competitors are quite evenly matched in bass punch and depth. The JH13 does make its bass (especially subbass) a touch more prominent, but the difference is small. The midrange of the H8P is less forward whereas the JH13 has stronger, more prominent mids that bring out the clarity and detail a little better. The Harmony 8 Pro is also a touch brighter up top but neither earphone is anywhere near as forgiving as the Noble 4S or Custom Art’s own Pro 330v2 . They also have similarly spacious soundstages, though that is admittedly more impressive with the less v-shaped JH13 as more forward mids are often detrimental to soundstaging, as showcased by both the Noble 4S and Custom Art Pro 330v2. My takeaway here is that the Pro 330v2 and Harmony 8 Pro are very strong performers that differ substantially in the way they are tuned, with the Pro 330v2 being very balanced and smooth and the Harmony 8 Pro prioritizing clarity and resolution with a brighter sound. I found the Pro 330v2 to offer a compelling upgrade to the Custom Art Music One, the only entry-level custom monitor I’ve recommended in the past year, offering more neutral and balanced sound with better top-end presence. The H8P, on the other hand, is more of a contrast to the two other Custom Art sets, but holds its own against top-tier rivals such as the Unique Melody’s Miracle and Noble’s silicone-shelled 4S. Full reviews of both of these Custom Art earphones will be forthcoming. I currently have a Earsonic SM3 v2 and I’m considering buying my first custom iem. What would you recommend as an upgrade to SM3? Custom Art Pro 330 v2, Alclair Reference or anything in between that price range? Very different sound tuning from the SM3 as EarSonics IEMs tend to be quite warm and a little smoothed-over. Most CIEMs will be more neutral in comparison, with less bass and (in most cases) brighter, less forgiving treble. If you are interested in a more neutral sound compared to the SM3 and are able to give up the bass enhancement and coloration, I’d go with the Pro 330 v2. The Reference is a little more v-shaped and harsher than the Pro 330 v2. The Custom Art unit is more neutral and capable overall, with better accuracy and fidelity. If you are not particularly interested in a more accurate sound and would rather have bass impact a-la EarSonics and a less neutral tonal character, the only set I can recommend in the price range is the 1964EARS V3, although I’m not 100% sure they still make those. As I said this will be my first custom. I think I’ll go with the Pro 330 v2 but only thing that worries me is silicone vs acrylic. What are the pros and cons to them like which one is more durable? All other things equal I like silicone better but it’s more of a personal preference. I haven’t had any customs fail on me so far but I feel like acrylic would be more durable under extreme duress (e.g. if it gets hit with a sharp object or something). It’s also often easier to put on an acrylic IEM vs the more “grippy” silicone, especially at first. But silicone can also be more comfortable and tends to isolate better. And to me just seems like a better material for something that goes in your ears. Hey! Great review. Just wondering if you have heard the harmony 8 (non pro) and if you can give a few words on how they compare. Sorry, no experience with the regular Harmony 8 – the Pro is the only version I have. Hi joker, would these and the JH13FP sound too similar to get both? I have already ordered the Harveys when the massdrop for this came. My preferred sound is detailed sparkly treble, non-recessed mids with good vocals, some bass punch and rumble (not too much), and wide soundstage. Listen to a bit of everything. Thanks in advance! Yes and no. Generally the sound signatures aren’t very different and they both fit your requirements well. However, the JH13 has a more forward and aggressive sound – a little more mid-bass punch, a little less midrange recession, a little more focus on high treble vs upper mids. I wouldn’t call them compliments, but they are different flavors of a similar type of sound signature. Just saw these over at MassDrop for 789.00. Harmony 8 and 8pro. I’m not prepared to throw down on these ATM but I thought I’d pass it along. Thanks for your short reviews! Did you also compare the H8P against the NT6? Which would you say is more analytical? The NT6, mostly because it doesn’t have the slight bass emphasis of the H8P to balance it out and give the sound that tiny bit of warmth and fullness. How much bass does the harmony 8 pro have compared to the BA200 and the Velvet? For the Velvet particularly, I am interested to know how does the harmony fare against it in terms of overall performance? The H8P is close to BA200 quantity. The Velvet is MUCH bassier, even in the neutral setting. Very different signatures between the warm, slightly dark, and endlessly smooth Velvet and the more bright and analytical H8P. Hard to say which is better because of that – if you’re looking for flat/accurate sound, the H8P is better. If you’re looking for lush, warm, bassy sound, the Velvet is better. I really like my BA200. Would you say the H8P is a good upgrade? Only if you think that an analytical sound would suit you better. The H8P is bright and very resolving. The BA200 is warmer, darker, and smoother, but of course not as clear, detailed, and so on. Even the PRO 330 is closer to the BA200’s sound sig than the H8P is. I will keep that in mind. Thank you so much for your response! Do you have an ETA for full reviews of the H8P and Velvet? Velvet is going to take a while – just sent my unit to InnerFidelity for measurements. H8P this month or the next, hopefully. Thank you for your reviews, they’re very helpfull. Did you have the opportunity to compare the Harmony 8 non-pro with the pro version, by any chance ? Unfortunately only the 8 Pro. From what I understand the sole difference is in the tuning of the treble, with the H8P having more presence at the very top end. Will read your full review with attention, waiting for my own pair sometime around xmas. From using the H8P for a while I’d say the H8 is very relevant for those who are sensitive to treble or just generally lean towards warmer and smoother-sounding earphones. H8 would probably be a straight shot upgrade from the Pro 330v2 whereas the H8P is just too different-sounding. So many things to listen to, so little time. Excellent review and comparisons. Glad to see comparison to the DN-2000, BA200 and Vsonics as I was starting to wonder how much better these are to the Altone200 but now I think I can roughly gauge them. 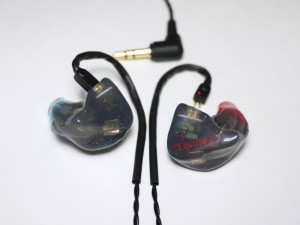 I would love to get a CIEM but it must deliver bass (quantity & quality) that’s on par or better than the Altone200. Any idea which I should consider? The Altone200 is not exactly light on bass so if that’s what you’re after, you’re looking at some of the more bottom-heavy CIEMs. In the midrange segment out of what I’ve tried only the 1964EARS 1964-V3 can do that. In the higher-end segment, the Spiral Ears SE 3-way and Heir Audio 8.A come to mind but they both have much smoother, thicker. less bright sound signatures than the Altone200. The V3 makes for a better signature match.